Dislocations in crystals affect material properties and are essential for crystal growth near equilibrium, yet their genesis in the absence of external or internal stresses is unresolved. 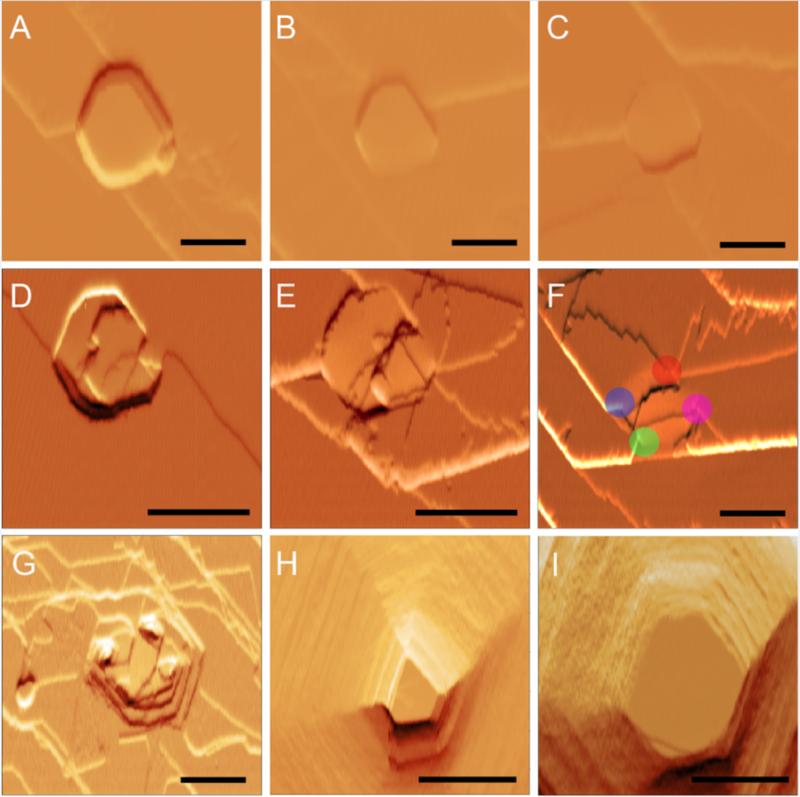 Real-time in situ atomic force microscopy (AFM) was used to visualize screw dislocation generation in L-cystine crystals during crystal growth. Statistics of dislocation generation from colloidal particles in potassium hydrogen phthalate (KAP) crystals were studied by etching method.